Toast for two. 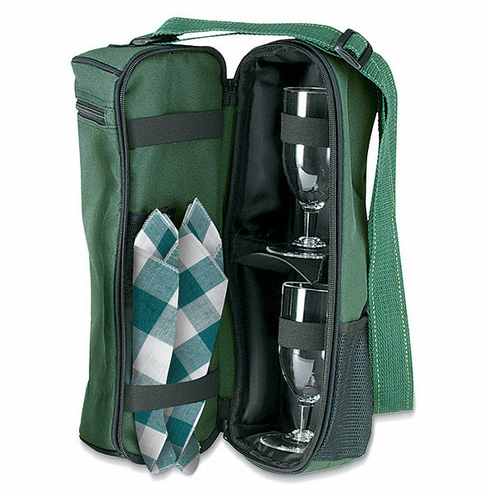 This stylish insulated bag includes a pair of acrylic wine glasses and two decorative napkins. Slender and compact. An absolute must for anyone who enjoys the fine art of being prepared. Available in Dark Green. Dimensions: 6 1/2" x 14 1/2" x 4 1/2"